John Rutledge was born in September of 1739. 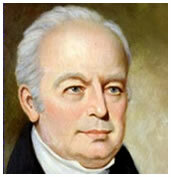 Rutledge served his country with distinction as an American politician and judge. Rutledge was born in Charleston, South Carolina. His father John was a doctor and his mother was named Sarah. Rutledge received the first part of his education at home from his father. Then, he was schooled by an Angelican priest. Rutledge showed an interest in the law even as a child. When he was 17, he began to study law and eventually moved to England to attend London's Middle Temple. When his studies in England were finished, Rutledge moved back to Charleston. Unlike other lawyers at the time, Rutledge had no problems getting business and was very successful. He represented Christ Church Parish for many years until the American Revolution. In addition to a legal career, Rutledge also was a successful plantation owner. As such, he owned several slaves. During debates, it became apparent that Rutledge was very pro-slavery. This practice was viewed as acceptable at the time amongst plantation owners. Rutledge was married to Elizabeth Grimke and they had 10 children together. Rutledge loved his wife very much and became very depressed after her death. Rutledge was chosen as a delegate for South Carolina in the Stamp Act Congress. This Congress was organized to provide a response to the effort of England to impose a stamp tax on the colonies. In 1774, he was elected to the First Continental Congress. He was also elected to serve in the Second Continental Congress but was replaced by his younger brother Edward. Edward signed the Constitution, but it was John who returned to South Carolina to encourage the state to ratify the document. In 1776, Rutledge joined the cause for independence. He served in the South Carolina legislature before becoming the governor. In 1780, he was granted war powers by the legislature of South Carolina. In essence, this gave him the power to do anything he wanted in the name of the "public good". In May, the city was seized by the English and Rutledge lost all of his property. He escaped to North Carolina and made plans to take Charleston back. Eventually, he raised an army and was able to gain control of most of South Carolina. In 1789, Rutledge was a presidential elector during the election of George Washington. After this, he served as a justice on the United States Supreme Court. He also served as a justice on the South Carolina Supreme Court. He was nominated by George Washington to replace a Chief Justice in 1795. However, the Senate did not agree with the confirmation for several key reasons including the fact that Rutledge suffered from mental health issues after the death of his wife. Eventually, his illness would end his public service career. In his latter years, Rutledge lived in seclusion. He never did recover financially from the losses he incurred during the British invasion of South Carolina. He also struggled with depression after the death of his wife Elizabeth. Rutledge died in 1800 at the age of 60. He was buried in Charleston in South Carolina.